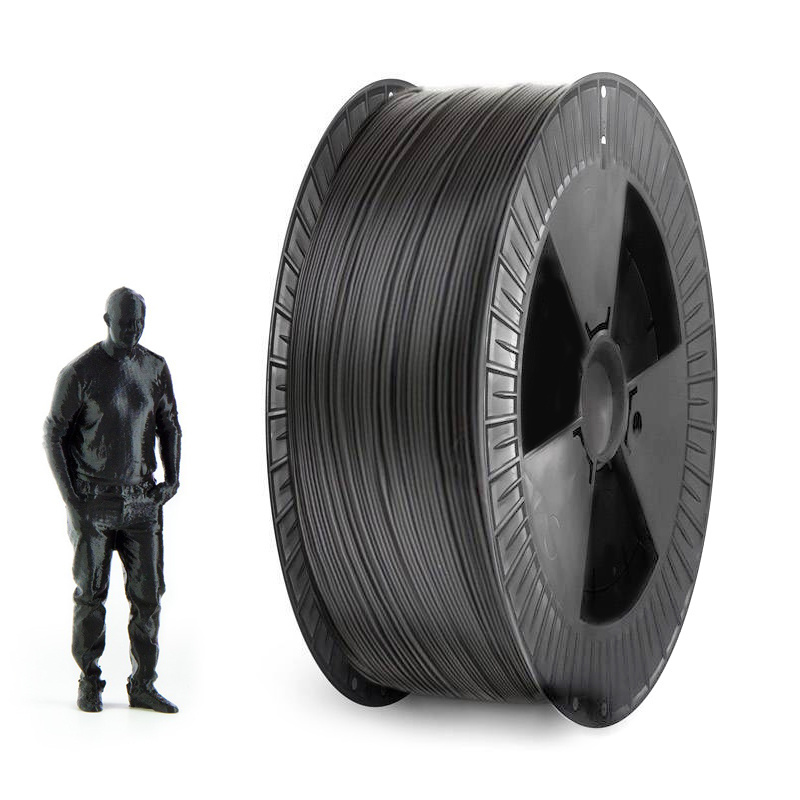 More PLA to print in the 2.2kg big spool! PLA filament is odorless and non-toxic during printing. PLA has a low shrink, it is suitable for printing objects with precision of details. Plastic filament out of PLA in black color. If you print with heated bed it is recommended to set the bed temperature to approximately 50-60 °C. Recommended print speed 40-80 mm/s.